I bought this Ipanema Anatomica Lovely Slippers at SM department store few weeks ago before I went to Ilocos for my 4-day vacation. 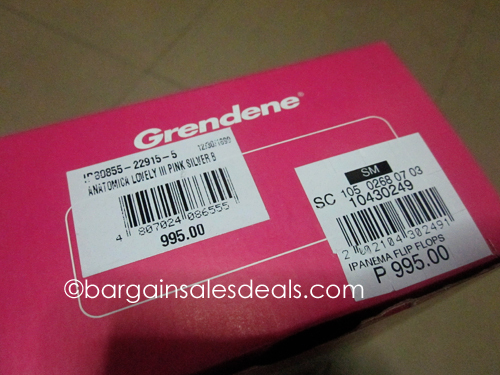 I wanted to be super comfortable while walking in Ilocos so I thought I needed a comfy and sturdy slippers. Saw this at SM, tried few colors (brown, black, beige, aqua blue and pink) but this fuchsia pink was a standout so I bought it. It's super comfortable and my feet didn't hurt a bit. I super recommend this to anyone for everyday use or when you want to use it on your travel. 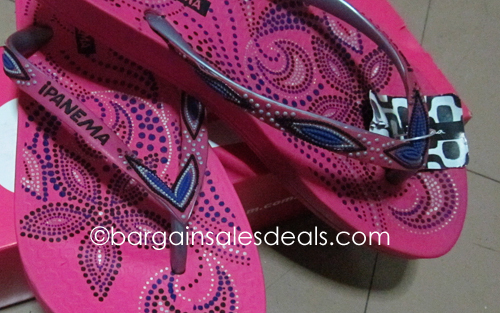 Ipanema Anatomica Lovely has a soft anatomic Melflex plastic sole and has a colorful henna design printed over the famous Ipanema Beach tiles. 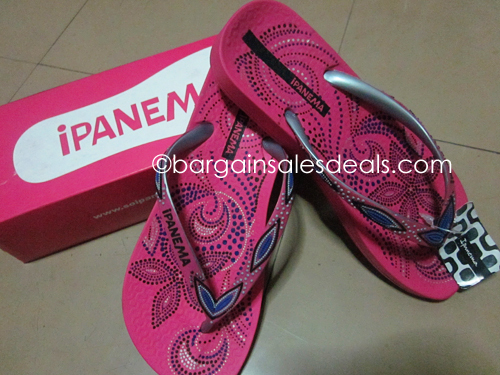 The iPANEMA logo is embossed on the straps and has a super cute 3D floral design on it.